Nexon Europe recently announced that a new game named United Eleven would come soon. As the World Cup approaching, this game might satisfy some fervent fans of football. 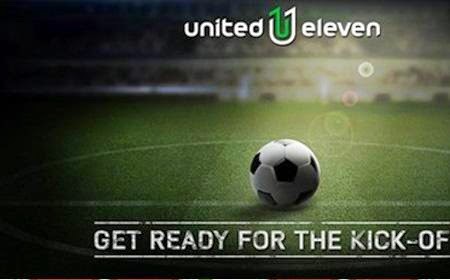 United Eleven allows gamers to choose the football players they like most amongst 50,000 players all around the world to organise his own star team, and with their own team, gamers can have matches with other teams.Furthermore, this game need not download, gamers could play directly on web page,and this game is compatible with smart phone, laptop. Gamers could change the layout of their team freely according to the exact situations on the field. Although United Eleven supports 8 languages in Europe, and would be sold in America, North Africa. Again, the Asian countries can not play this game unless they can access VPN servers in USA, Europe. The most common solution is to use VPN. That is the commonest knowledge. FlyVPN can help gamers achieve this goal. It has 24 servers in USA with shared IP VPN，15 servers in Europe, and dedicated IP addresses in America. That is not enough, some would say, how could i know if it works? The answer: we provide free trial of our servers, the effects of free trial account is the same as those of premium account. And more important, we gurantee refund within 30 days if you are not satisfied with effects.